ScreamWorks Records reunites with composer Chad Cannon to bring listeners an otherworldly horror score quite literally rooted in malice. 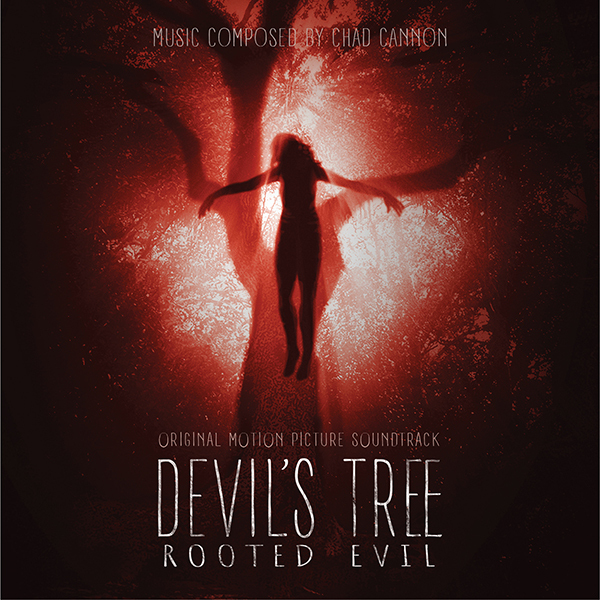 Directed by Chris Alonso and Joshua Louis, Devil's Tree: Rooted Evil is about an aspiring journalist named Sam who finds a tree with a very dark history. As her own past has demons that continue to haunt her, she eventually finds out what haunts this ominous tree. Loosely based on real events, the actual tree still stands today. This film takes you on a ride out of the realm of fantasy and into the realm of true evil. The musical score by Chad Cannon takes the organ, one of the favourite instruments of horror films, and puts an unusual spin on it. "I've always been around church organs and have always held a sort of reverence for them" says Chad Cannon about basing his score around the instrument. "There was a danger of "kitchyness" in using a church organ in a horror film, so I decided early on that I wanted to focus on the quality of the sound of the pipes, not the performance of the organ, per sé. So before writing any music for this score, I took my sound engineer to a church, where my organist and I our followed our ears into the depths of the organ's sound. What fascinated me most were the huge, pulsing, beating frequencies that came from the lowest of the pedals. I had the organist play slowly, allowing the ears to focus in on the way the pipes were physically pumping air out. We would record 1-2 minutes on each note, and on each chord, on each dissonance. This pulsing quality became the heartbeat of the score." Composer Chad Cannon got his background in the orchestration team of Conrad Pope on top Hollywood films as Godzilla (score by Alexandre Desplat) and the last two The Hobbit films (Howard Shore). Chad is also the founder of the Asia / America New Music Institute (AANMI), which promotes new music relationships between the U.S., Japan and greater Asia. MovieScore Media previously released The Cairo Declaration, a Chinese score co-composed by Chad and Ye Xiaogang. Chad's music for Paper Lanterns was nominated for Best Original Score for a Documentary IFMCA Award while the composer was also nominated for Breakthrough Film Composer of the Year.